Product description: Epoxidized Soybean Oil is a new plasticizer, it's a pale yellow thick oily liquid at normal temperature. 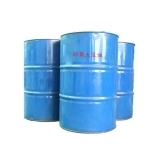 It's the most widely-used epoxide plasticizer and stabilizing agent of polyvinyl chloride. It has good compatibility with PVC resin. It can be used in pesticides,Various medical, food related and environmental products(KL01) Soft products of PVC and PE ; injection products(KL03),Leatheroid, floor, thermal insulation material, electrical wires and cables(KL05).Various products of extrusion and blow moulding; wood-plastic products(KL09) and other plastic products. It has good plasticizer ability with good stability, it's nonpoisonous, non- odor, pale and transparent. Used with metal heat stabilizer , the product has obvious synergistic effect, increase the heat stability.